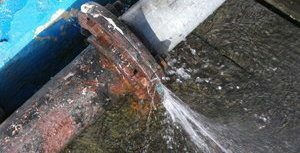 When a water leak causes disasters in your home or commercial space, you can call the water damage Woonsocket and mold removal Woonsocket pros with 911 Restoration of Rhode Island. As soon as you contact our local office, a project manager will dispatch a licensed, bonded and insured technician so you not only get a same day service appointment but the same day solutions. Don’t let a small leak turn into a moldy situation and expensive repair bill. Call the water damage Woonsocket and mold removal Woonsocket pros with 911 Restoration of Rhode Island today. Mold spores will start growing within 48 hours of a water damage occurring. The more humid and dark the area in which the mold is in, the higher the chances of mold infestation becomes. To save your property from the repercussion of mold and bacteria, our water damage Woonsocket and old removal Woonsocket pros encourage making the call as soon as possible. Once mold has entered into your home, spores can easily travel to other areas through vents and even just airways. Our team’s number one goal is keeping you and your family safe from the harms untreated water can cause. The bacteria in mold can cause respiratory issues over time, making it more difficult to breathe and cause reactions in animals as well. Once our water damage Woonsocket and mold removal Woonsocket pros arrive at your property the first thing they do is conduct a free visual inspection to assess the degree of damages and provide property owners with a detailed repair plan and estimate. With the help of powerful and state of the art machinery, we are confident that every inch of the affected areas will be thoroughly removed and repaired. Call the water damage Woonsocket and mold removal Woonsocket pros at 911 Restoration of Rhode Island for your Fresh Start. Water related disasters can be devastating, frustrating and time-consuming; the longer repairs are delayed the bigger the headache and repair bill become. When you work with our team, you get the on-site and mental support to get you through this situation. We pair every customer to an experienced project manager, from scheduling your same day service appointment to addressing all of your concerns, we are more than confident that we will restore your property even better than its original condition. With peace of mind and solutions, our water damage Woonsocket and mold removal Woonsocket pros will make sure you have an open road to a Fresh Start. 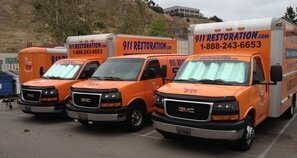 Don’t hesitate and call our water damage Woonsocket and mold removal Woonsocket unit with 911 Restoration of Rhode Island.